The idea of being on the full meal replacement plan is to ensure you only eat a specific number of calories per day. Obviously by controlling what you eat you should start to lose weight. Although I do want to lose a bit of weight it's not that big a priority. Over the last 15 years my weight has always been between 70-76 kilos (154-167lbs) which is not too bad for my 5 foot 7 inch frame and mostly within the recommended range for my Body Mass Index (BMI). Currently I'm at 74kg (163lbs) after loosing a kilo in the last couple of weeks and could probably do to lose 2-3 kilos to be at what I feel is my ideal weight. The problem I found with Light n' Easy mainly is that the breakfast, lunch and snacks menu includes too much fruit. Don't get me wrong, I love fruit. I wish I could eat more fruit all the time but my stomach won't let me. Too much fruit gives me cramps, gas and the constant feeling that my stomach is empty - like when your stomach rumbles because you're hungry but mine does this all the time. Light n' Easy menus are pretty well set. They can't really cater to specific needs. At best they can suggest alternatives that you can purchase yourself to replace anything in their menu that may not work for you. For me they suggested replacing some of the fruit with carrot or celery... you can almost hear the sound of my displeasure. Celery isn't even food. If it wasn't for the fruit thing I'd probably still persist with the entire menu but I was also having an issue with the so called 'easy' part of preparing my lunch and breakfast. I'm pretty simple when it comes to food. I don't need lots of variation, I especially don't like the hassle of cooked breakfast and I do prefer sandwiches to almost anything else for my lunch. A Light n' Easy breakfast low. Every day was something different. I will admit the cooked breakfasts and lunches were nice but sometimes more trouble than I'd ever go to preparing my own food. On the flip side, sometimes breakfast was a little too 'easy'. When the Light n' Easy menu served up a piece of raisin toast with butter on it and a small vanilla yogurt cup I felt I'd reached a dietary low. Isn't breakfast supposed to be the most important meal of the day? I can tell you that morning didn't start with a spring in my step. After a week, for breakfast, I just wanted a modest sized bowl of cereal, a couple of biscuits with a cup of tea - which is all I used to have. I've since replaced the cornflakes and a couple of sweet biscuits for breakfast with a small bowl of natural muesli and a couple of muesli breakfast biscuits. That's all I need for breakfast. Virtually no preparation, no thinking, and just enough food to sit and enjoy whilst reading a few pages of whatever book I'm reading. Light n' Easy lunches are pretty amazing if you like salads and cooked lunches. Other than the fruit there wasn't really anything I could fault with the lunch menu... except the lack of bread and sandwiches. Like breakfast it was a bit too much variation for me and I don't like to think too hard about making lunch either. For lunch I'm now having a single round of multi-grain sandwiches filled with salad and either deli meat or tuna fish along with a side of nuts or something else healthy. I'll also have an orange or some other piece of fruit that doesn't disagree with my stomach too much. Overall, if you're wanting to eat healthy and don't have any foods that particularly play havoc with your stomach, Light n' Easy food is nice and probably more varied than what you're currently eating - and likely has a lot less calories and sugar perhaps? If you're wanting to lose weight then the full meal replacement plans are the better way to go. 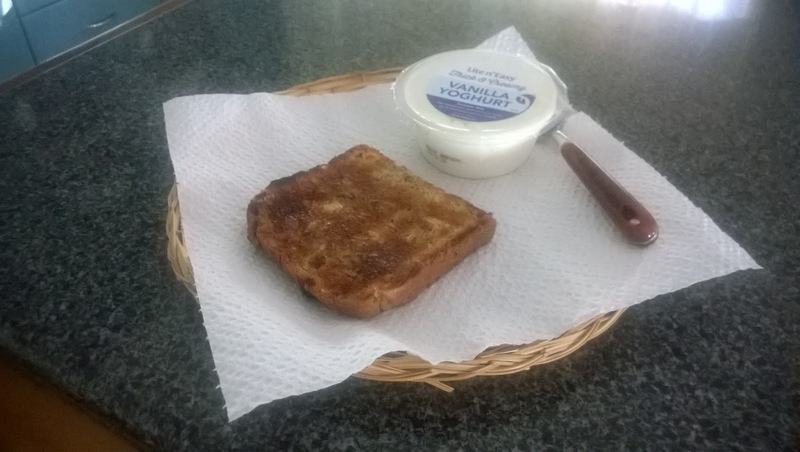 I guarantee you won't be impressed with some breakfasts and lunches but if you make the effort to pick and choose from the two menus on offer, you should be able to avoid a single piece of toast and vanilla yogurt for breakfast. (You'll end up with this at least one morning if you just pick the default menu). I suspect people who say Light n' Easy is terrible are just grumpy that they can't eat doughnuts and Macca's any more. The food is nice and, if you take the time to put it on plates rather than eat straight out of the containers it comes in, you won't feel so much like you're on a diet. It'll feel like you're eating your regular meals, just healthier. I've only just got round to answering this, it's been in my Inbox for ages waiting for me to get to it. 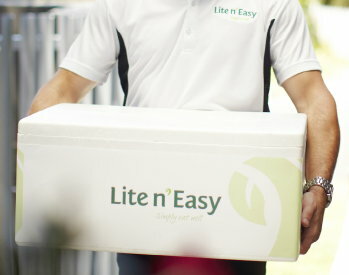 I wondered what the Lite n'Easy was like. Someone on my Friends List on FB had it awhile ago and wasn't very I'm pressed with it. It sounds alright. I wouldn't like the full day's meals either. I can do my own breakfast and lunch. I pretty much like the same as you. I've been having those Plus cereals which are supposed to be full of fibre and good for you, although it's said that the dried fruits aren't suppose to be as they are sugary. According to Lesley, (my daughter and your sister, incase anyone else reads this) they are full of chemicals, so you can't win. I generally have a sandwich for lunch, a toasted one in winter or some cheese on toast. I buy the lite cheeses and milks, but this lite stuff has more salt in it to make up for the flavour, so, what can you do! I'm glad you dropped the two biscuits, as you don't need those at breakfast, I don't think. What you're having now for breakfast and lunch sounds pretty healthy and the grain breads are good. I still have the soy and linseed bread but sometimes have to get the grain breads if they've sold out. I always cook for myself, mainly having the grilled meats ie: steak, lamb chops, or a pork loin chop with the steamed vegie mixes of carrot, broccoli, peas and corn or some have cauliflower or green beans and peas et that you do in the microwave. I sometimes use the frozen winter vegies to do in my small stainless steel pan. This kind of meal doesn't take too long to do either. I put foil on my grill with another on top with the sides turned up to catch the juices so no grill to wash. I do sometimes do quick meals such as the tinned dinners with vegies on toast and I have the crumbed fish with frozen chips done in the oven for Saturday nights. Mostly though I'm cooking my own meals. I do chicken drumsticks by the 'cook in the bag' method in the oven and make the gravy from the juices after getting most of the fat off when it's cooled and been in the fridge. I don't eat the chicken skin. I do this with lamb cutlets in winter. When your Auntie Margaret was looking for meals at home other than the meals on wheels which didn't do special diets, she was looking into the Light n' Easy too, but remarked that they didn't do special diets. I heard the Home Chef advertised on the radio and looked on line and it was a little dearer than Lite n' Easy but they did do special things for people. I don't know if they are a national company or not. She went to live with your Dad then so I didn't get a chance to suggest it. Is Enigma still doing it then and are you still doing the evening meals? How much are the evening meals, though it's probably different for WA, but I expect it says online, but I can't remember now. I wondered if you should check with the doctor to see why fruit affects you like that. I remember you telling me that apple juice was too gassy for you. I don't drink any fizzy drinks as they bloat me too much. I haven't done since the 70s when I last had that feeling. I still have biscuits but just with my breakfast and they're muesli 'breakfast' biscuits. Gotta have biscuits with my breakfast tea! We're both still doing Light'n'Easy as described in my post. I'm not sure what the overall costs are as Enigma orders all the meals. It's probably more expensive than what you might spend on groceries but you are paying for convenience and a proven weight loss system (speaking of which I'm currently down to 71.9kg and enigma has lost a a few kilos more than me because she's sticking to the full program). I've asked the doctor many times about why fruit affects me so badly but I can never get a straight answer other than some fruits can affect people that way. Yes, I just meant not to have ordinary sweet biscuits. Don't forget the exercise too. I think walking is best, doesn't have to be a lot, just regularly. I think I'm 56 kilos. That's about 8 stones in the old scale. A stone is 14 pounds, 16 ounces make 1 pound. I have my bathroom scales. I'm still at my wedding day weight, well, only 7lbs (pounds) over, or half a stone. I do 12 kilometers on my Orbital stepper machine 5 days a week, plus take the dogs for a 45 minute walk 7 days a week so I think I've got the exercise covered.